beauty on a budget: kiss manicures goodbye! One Halloween, I dressed up as Barbara Streisand. I had the slightly teased-on-top tresses, the thick black eyeliner, even the microphone. But what really made the costume was my beautiful set of French manicured nails. I had a great time that night, but as I sat down to meet a writing deadline the next day, I realized I couldn't type! The nails were too long and I had to run to the nail salon to professionally have them "removed." Since then, I've stayed away from fake nails...until I tried the ones from Kiss. The Kiss Everlasting French Nails and Toes sets ($5.99 each) cost far less than a salon job and are easy to apply and remove on your own. They can be filed down to any preferred length and shape. They provide relief for nail biters by helping nails grow underneath. And they come off with pure acetone without damaging your natural nails (try the Kiss remover kit to make it even easier). Look for Kiss nails in all major drug stores nationwide or at www.kissusa.com. Leave it to Orly to nail it! The innovative nail care/color company recently launched Orly Matte Couture ($7.50), a collection of matte nail lacquers guaranteed to get you through fall with flying colors. In case you haven't picked up a beauty pub yet this season, the latest nail looks are matte. Try Blue Suede (blue creme), Vinyl (black creme) and Purple Velvet (purple creme)--all are DBP-, tolulene- and formaldehyde-free. Wear them alone or over your favorite Orly base coat. Get yours at www.OrlyBeauty.com, Sally Beauty, or Ulta, among other retailers. Forget about the red carpet. 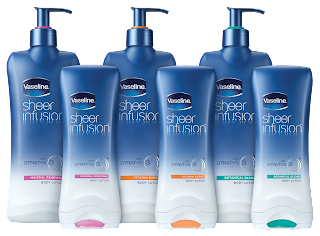 The launch of new Vaseline Sheer Infusion ($7.99-$9.99),featured anything but. Instead of starlets stepping out into the spotlight, the company treated beauty insiders to an afternoon of trapezing to illustrate the product's suspension theory. Stylist and Just Try It On! author author Susan Redstone swung into action, trying her hands (and legs!) at the trapeze. She managed to perfect moves that even rivaled Sheer Infusion's innovative methods (see the pic for proof)! But back to beauty...Composed of ultra-moisturizing ingredients like Stratys-3, Sheer Infusion infuses and suspends moisture, providing ultimately hydrated skin that's soft and smooth, not dry or flaky. Glycerol Quat delivers optimal moisturization, staying on top of the skin to deliver moisture where it needs it most. Glycerin penetrates skin for immediate, long-lasting moisture at the core. Hydroxy Ethyl urea lures moisture to the deeper layer and keeps it there. Go to wwwww.vaseline.com for more info. Ever wonder how makeup artists apply that perfectly even coat of mascara to every single one of your lashes? Maybelline's Pulse Perfection Vibrating Mascara ($14.95) delivers 7,000 vibrations per minute in seven synchronized actions so you get perfect lashes every time. The battery-powered mascara features a vibrating elastomer brush which gently pulsates against lashes, mimicking pro makeup artists' zig zag technique. How it works: Apply one, two or several coats of the exclusive formula, featuring thickening agents, emollient waxes and film formers. The Pulse Perfection vibrating brush uncrosses individual lashes for perfect separation and definition. Just push the button, and hold the wand steady as you slowly coat eye lashes, root to tip. What you get: Luscious thickness, luxurious length, smooth separation, intense color, shapely curve, healthy luster and clump-free lashes. Look for the sleek black and gold packaging at mass market retailers nationwide. Choose from Very Black and Blackest Black, or Very Black in a waterproof formula. The catch: Batteries are required. The battery lasts a minimum of 130 applications so if you apply mascara once a day, it will last more than four months--longer than your average mascara which should be replaced every three months. For more information, log onto www.maybelline.com. Visit the My Color Advisor section to help choose and use the right shades for you. Make the most of your beauty sleep--wake up looking younger than you did the night before! Garnier Nutriste Ultra-Lift Pro Deep Wrinkle Night Cream ($16.99) boosts skin’s natural repair process to reveal younger skin while you snooze. As we age, our body's natural repair system slows down, causing loss of skin firmness, elasticity and the deepening of existing wrinkles. 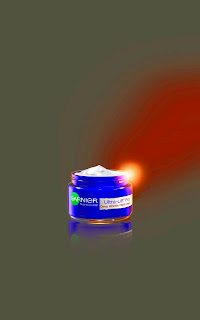 Deep Wrinkle Night Cream works deep under the skin’s surface to restore elasticity and plump deep wrinkles from within. The result is firmer skin and decreased deep wrinkles. The rich yet lightweight formula absorbs completely without feeling sticky or greasy. Studies show that many women see firmer skin overnight and, in just two weeks, 86% of women felt firmer skin. Clinical studies show deep wrinkles are visibly reduced in four weeks. Just apply to face and neck nightly. The best part: You'd think a fancy night cream that does all this work would cost you your weekly paycheck. Not so. The price works just as well for your budget beauty routine. Available in mass market retailers nationwide. Go to www.garnier.com for more info.